Find out which Ocracoke businesses are open in November on our Who's Open page! Thanksgiving is a lovely time on Ocracoke and you're welcome to join us. This week also marks the end of the season for many local businesses. Graceful Bakery, and Ocracoke Coffee Co. will close for the season this week. Ocracoke Seafood Company (the Fish House) will be open everyday Thanksgiving week, with the except Thanksgiving Day. Mark your calendars for the annual Oyster Roast on Saturday, December 29th. Send me info about any events I may have missed to ocracokecurrent@gmail.com. This story will be updated as needed with more information, so check back! 3pm: Scholastic Book Fair @ Ocracoke Library, 3-7pm. This is an important fundraiser for the school library. All are welcome to stop by and shop. Don’t have a child to buy for? Please consider purchasing books for the library or an Ocracoke School classroom. Our teachers’ Wish Lists will be on display so you’ll know just what they want for their student readers. 5:30pm: Ocracoke Waterways Commission meeting @ the Community Center. The public is welcome to attend. Last day of season for Graceful Bakery, open 7am–12pm. 3pm: Scholastic Book Fair @ Ocracoke Library, 3-6pm. (The Book Fair closes at 6 to prepare for evening program). This is an important fundraiser for the school library. All are welcome to stop by and shop. Don’t have a child to buy for? Please consider purchasing books for the library or an Ocracoke School classroom. Our teachers’ Wish Lists will be on display so you’ll know just what they want for their student readers. 4pm: Go, Dolphins! Ocracoke's JV Boys Basketball team will take on the Perquimans Pirates. 5:30pm: Go, Dolphins! Ocracoke's Varsity Boys Basketball team will take on the Perquimans Pirates. Fear the Pod! 7pm: "Robert Maynard & the Battle at Ocracoke Inlet" History Program @ Ocracoke Library. Join historian Jeff Jernigan for a presentation on the history of the Royal Navy and the events leading up to Lt. Robert Maynard sailing to Ocracoke to confront the pirate Blackbeard. This program is in support of the OPS-sponsored events this week to celebrate the 300th Anniversary of the Battle of Ocracoke on November 22, 1718. FREE, and refreshments are provided! 7pm: Island Trivia @ Gaffer's Sports Pub. $2 per person to play, up to 4 people per team. Show off how smart you are! Proceeds will benefit the Ocracoke Middle School Girls Basketball Team, who are raising money for a trip to Raleigh to play in a tournament. 1pm: UMW Bake Sale! Stop by the Variety Store on Wednesday for the annual Thanksgiving bake sale. Take home some whole cakes and pies that your family will be grateful for! The bake sale begins at 1pm and proceeds benefit the United Methodist Women. 6:30pm: Open Mic @ Coyote Music Den, 6:30–? – sing, play, listen – all ages, all levels welcome. No sign-up, just show-up. No charge, but donations welcome. 7pm: 300th Anniversary Oyster Roast @ the Berkley Barn Oyster Roast with all the trimmings, plus Beer and Wine. Entertainment by Martin & Friends. Tickets are $45 per person per event, limited number available. Purchase tickets at the OPS Museum 252-928-7375. 8am: Turkey Trot! The 4th Annual, Unofficial 5K Turkey Trot on Thursday, November 22 at 8:00am! This event is a fundraiser for the Ocracoke School PTA. Everyone is welcome! You can choose to run for free, or for a $20 entry fee, you will receive an insulated lunch tote featuring artwork by Catherine Todd to carry all of your Thanksgiving leftovers! All paid entries will also be entered into a raffle for a locally-made dessert! Race will begin and end at 1718 Brewery! After finishing the race, runners will be treated with locally brewed beer and there is even root beer for the kids! Sign up here. Same day sign ups will be available, however, insulated lunch totes will not be guaranteed for same day sign ups. 10am: Memorial Ceremony @ Springer's Point for the 300th Anniversary of the Battle at Ocracoke. Free tram service to Springer's Point available from the NPS Parking Lot at the OPS Museum. Immediately following the service, all are invited to an English Tea in the Barn at the Berkley Manor. More information here. 11:30am: Ocracoke Oyster Company (252-928-0020) is serving a Thanksgiving buffet from 11am-4:30pm. The full menu will also be available! Reservations recommended, but not provided. 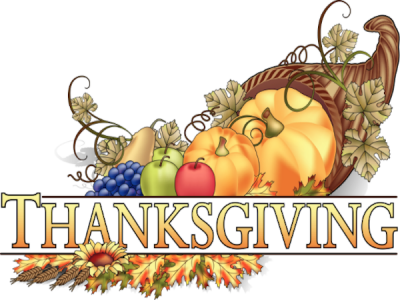 Noon: Gaffer's Sports Pub (252-928-3456) Thanksgiving Day: Thanksgiving buffet, Noon-5pm. Live music Friday and Saturday nights. 5pm: Friends & Family Thanksgiving @ Ocracoke Assembly of God. All are welcome! Turkey and other meat provided for all; please bring a side dish or dessert to share! Black Friday, November 23rd, is safe and fun on Ocracoke! Shop local and find something for everyone on your list! Entertainment by Molasses Creek. Tickets $45 per person per person, limited number available. Purchase tickets at the OPS Museum 252-928-7375. 8pm: Dance with the Ocracoke Rockers @ Oyster Co. Live music! Last day of season for Ocracoke Seafood Company. 1pm: Books to Be Red will host a Small Business Saturday Holiday Open House! Sales, refreshments, door prizes! Children welcome! 1–4pm. POSTPONED UNTIL SUNDAY: 5:30pm: Holiday Parade of Boats! Boats large and small are welcome to light up the waters of Silver Lake Harbor! Enjoy refreshments at the Working Watermen's Exhibit at the Community Square while you watch from the docks. Contact Kathryn Waldrop @ 201-323-0073 for more information. Read more here. 6pm: Festive Wine tasting at Zillie's Island Pantry! Wine tastings pair five great wines with delicious hors d'oeuvres from the pantry. Space is limited, so make a reservation, and sign up at zillies.com. 8pm: Live music! Raygun Ruby @ Ocracoke Oyster Co.! Ocracoke's favorite 80's cover band! Last day of the season for Ocracoke Coffee Co., 7am-Noon. Noon-6pm: Holiday Open House at Zillie's! Complimentary spiced apple cider, hot mulled wine, holiday treats, and secret surprise savings are all part of the plan for this festive afternoon! Join us for Zillie’s kickoff to the holidays! 5:30pm: Holiday Parade of Boats! Boats large and small are welcome to light up the waters of Silver Lake Harbor! Enjoy refreshments at the Working Watermen's Exhibit at the Community Square while you watch from the docks. Contact Kathryn Waldrop @ 201-323-0073 for more information. Read more here. Christmas is coming, too! Remember to check our Happy Holidays and Calendar pages to find out all about the island celebrations. Good times ahead! Get creative! The 6th Annual "Ocracoke Through Your Eyes" show will feature small works by local artists – maybe you! Stop by the Museum, pick up a canvas, and be a part of the show! Or call the museum at 252-928-7375 and they will mail you one! The canvasses are due back to the museum by January 10th. A wine-and-cheese reception and art opening is planned for Saturday, January 27th, from 5 – 7pm at the Museum.